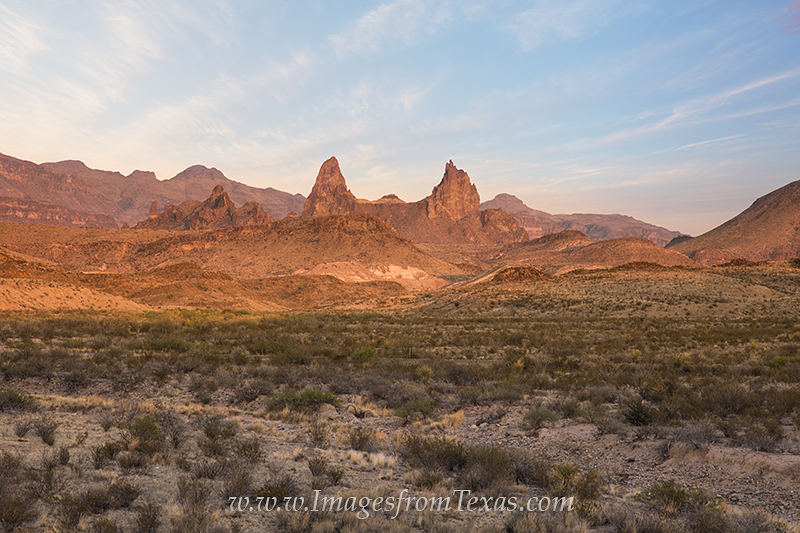 The Mule ears rise from the Southwestern portion of the Chisos Mountains. These two rock towers rise out of the Chihuahuan Desert as a testament to the area’s distant past. A trail leads you to these unusual and iconic rock formations if you wish to visit them up close that culminates in Mule Ears Spring. Keep going and you’ll have great views of the south side as well as a quartz field and Smokey Creek. The Mule ears rise from the Southwestern portion of the Chisos Mountains. These two rock towers rise out of the Chihuahuan Desert as a testament to the area’s distant past. A trail leads you to these unusual and iconic rock formations if you wish to visit them up close that culminates in Mule Ears Spring. Keep going and you’ll have great views of the south side as well as a quartz field and Smokey Creek. Photo © copyright by Rob Greebon.